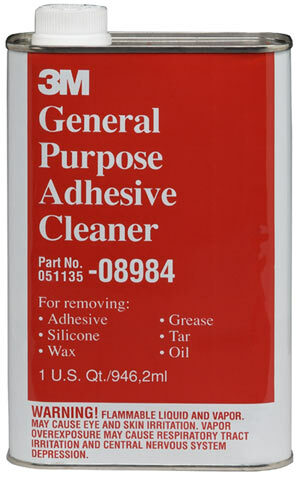 A specially blended solvent that provides easy clean up of most types of adhesives and quickly removes waxes, road tars, grease, oil and similar materials. 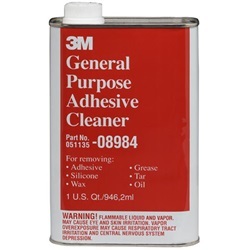 Will not harm thoroughly dried automotive paint, vinyl or fabrics when properly used. 1 Quart Can. NOTE: CANNOT BE SHIPPED VIA AIR.